If you like french toast then you just might love this casserole version. It is a simple breakfast casserole that you mix together the night before and then toss in the oven first thing in the morning. It is a great way to use up left-over or stale bread or rolls. 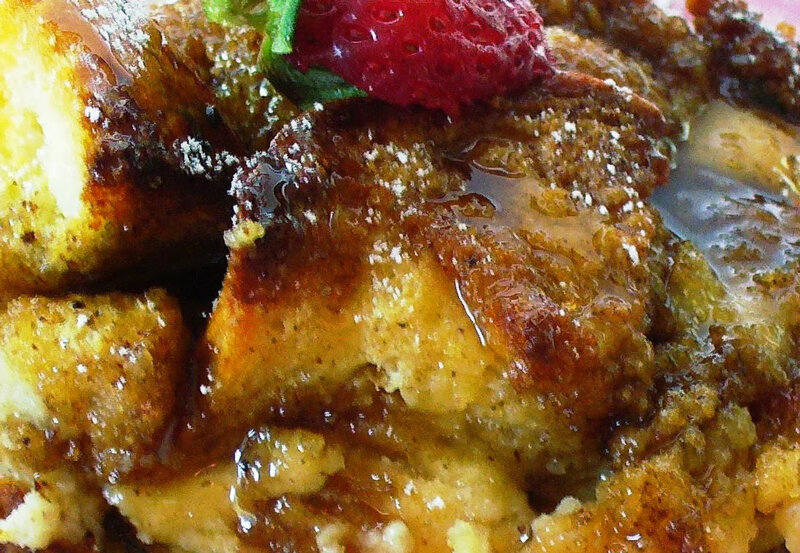 This tasty casserole that has the consistency and flavor of a custardy bread pudding. It is always a hit at parties and socials. Butter a 9×13-inch baking dish. Cut the bread diagonally in one-inch slices. Arrange the slices of bread on the bottom of the baking dish. In blender (or a large bowl) beat together eggs, milk, cream, vanilla and cinnamon. Pour custard over bread slices, cover, and refrigerate overnight. The next morning, preheat oven to 350°F. In a small saucepan, combine butter, brown sugar, and corn syrup; heat until bubbling. Pour over bread and egg mixture. Bake the casserole in the oven, uncovered, for 40 minutes. Serve warm, with a dusting of powdered sugar or a few berries. Makes 12 servings.